One of the most anticipated PS4 games will miss the launch. But it's expected to drop in the "launch window" which lasts up until March apparently. After playing both inFamous and inFamous 2 (1 platinum, and both games free due to PS Plus), I'm beyond excited for what the game has to offer. If you pre-order iF:SS you get custom vests to tailor your main character to your liking. Not a major deal really. But pick up the damn game anyway! Nice. The kids and I really liked the two inFamous games. Limited Edition: $59.99 automatic upgrade via pre-order. DLC Cole's Legacy is only available via these pre-order offers. Sucker Punch will not be selling it post launch apparently. The release date was revealed in a sweet trailer during the PS4 launch event on Spike TV. Only 4 months and 1 week to go! Get excited for this bad boy. Only four weeks to go. Sucker Punch has ramped up the viral campaign side of things for inFamous: Second Son. Not only will it give you a boost to karma by unlocking a few things early, but it helps flesh out the inFamous universe. inFamous Paper Trail >> The hub where you see your unlocked items. EnjoyYourPower.com >> A "testing" site for conduits. ConduitRightsLeague.com >> Co-sponsor of testing for conduits. BioFrameDiagnostics.com >> Co-sponsor of testing for conduits. The inFamous paper trail website has unlocked a new "test" to see if you're conduit positive. Stupid, but the bonus Karma/XP will help come Friday. I scored a 91%. The overarching theme of the reviews, it's more inFamous, very, VERY pretty, same makeup as the previous two, just a bit more serious. Great scores, only hampered because it didn't change what the series has always done. For whatever reason, Amazon goofed up my order, and they won't send it to me until next week. During E3, Sony has unveiled their summer content release. A prequel to the story, you play as Fetch, with her neon powers. The not quite DLC is actually a stand-alone download, so you don't need the game to play the content, but get bonuses if you do. The story will be made available in August. The story takes place in Curdan Cay, the conduit holding prison. It's too bad it doesn't launch sooner. 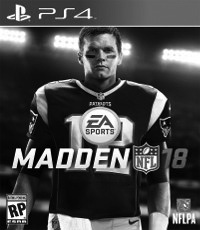 July would've been perfect instead of lining it up with Madden's release. $15 to purchase. Looks fun. Just like Second Son was.